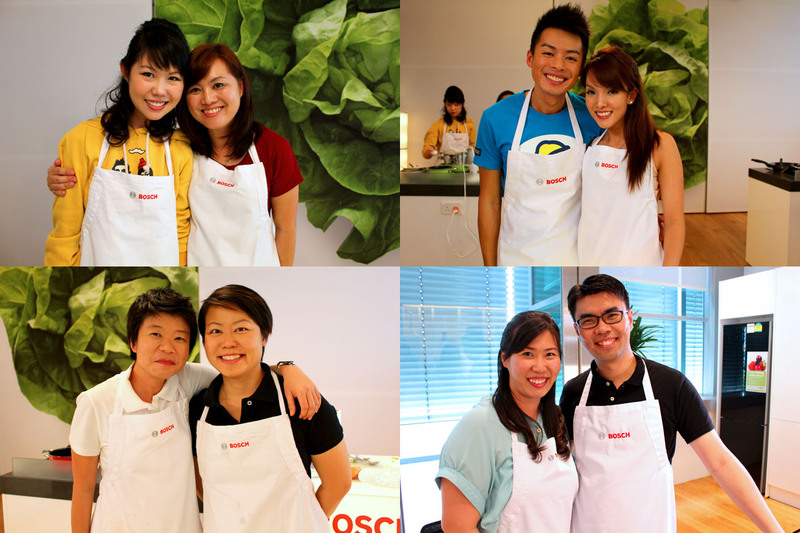 The Bosch Dream Kitchen Cookoff must be Singapore’s answer to MasterChef, and I am honoured to be invited to judge one of the episodes. WooHoo! The competition is a five-episode web-based reality show that follows the gastronomic journey of four teams who will pit their culinary skills for the Bosch kitchen of their dreams worth more than $20,000. 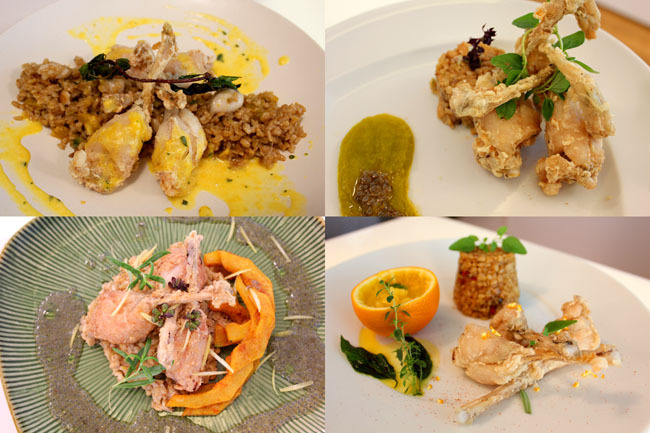 And for Episode 3 of the Bosch Cookoff, teams face the challenge of cooking Frog Gruel! I must say that Bosch Singapore has gathered quite a varied and watchable group of contestants which makes it a rather entertaining web series. There are mother-daughter, couple, best friends, and siblings teams – comprising of people of different occupations from an investment advisors, teacher, to some very popular food bloggers Keropokman and Melicacy. If you think this is just another ordinary youtube video, the teams mean serious business, all under the mentorship of celebrity chefs John See (Asparagus), Andrea Scarpa (Da Paolo Group), Lee Bennett (Equinox), Heather Barrie (Fine Palate), Tim Ross-Watson (The Garden of Eden). The host is ‘double-confirm’ Hossan Leong, with judges including Wolfgang Lapper (Esmirada Group), Tim Ross-Watson (The Garden of Eden), Crystal Chua (My Private Chef) and emmmm, Daniel Ang (DanielFoodDiary.com). – Teamwork: Brother-sister Team D demonstrated really strong teamwork. They knew what they wanted and went for it, each doing their own part and coming together. I gave them the highest score (tied with Team B). – The story: Mother-daughter Team A had a slightly believable representation of “bridge of the family” behind their dish. While they did not have the best culinary experienced, I envied them because it is so admirable for a career woman to give up her time to bond with her daughter. – Presentation: For a food blogger, a dish must not only taste good, but should be photogenic as well. So those I gave higher scores also had better-looking food. Who would have thought filming for a 13 minute episode took an entire day! (You can see that some shots are in daylight and some are at night.) 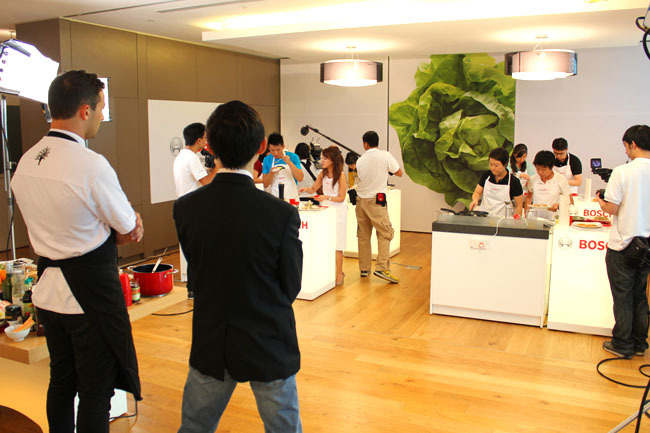 Kudos to Bosch Singapore, the production team and all the 4 groups of contestants. Tell me what you think about the episode! ← Maki San – Design Your Own Sushi and Salads. It’s Fun!